While it’s all too easy to consider mental health and physical health as two completely isolated issues—research is proving the unequivocal connection between the two with increasing regularity. We already know the impact that substances like sugar have on the health of our bodies, but we less frequently think about the impact that it’s having on our mental health. Here’s why sugar might just be at the root of your anxiety. You’ll likely have heard of SSRIs being prescribed in the treatment of both anxiety and depression—medications which prevent the reuptake of serotonin, therefore making more serotonin available for your brain to use. These medications were formed on the basis of the belief that anxiety and depression are caused by low levels of serotonin. Further research, however, has indicated that these mental health conditions are caused by high, not low levels of serotonin—and that another thing that raises serotonin levels is—you guessed it—sugar. This means that every time you put sugar into your body, you’re likely contributing to the neurochemical reaction of anxiety that continues the spiral. We all know that consuming too much sugar spikes our blood sugar levels—which over time, can lead to imbalances and insulin resistance. What you may not have realised, however, is that each time your blood sugar is outta whack, your hypothalamic-pituitary-adrenal axis (HPA axis), which is responsible for releasing cortisol (that well-known stress hormone) is thrown off. This imbalance can mean that your adrenals are under constant stress, which, inevitably, further perpetuates the cycle of anxiety. Feelings of “hanger” reiterate this problem—as each time blood sugar levels are off, you feel the need to reach for something sugary and sweet in order to feel satiated—which means that there’s no end to the blood sugar imbalances, and therefore no end to the anxiety that these imbalances prompt. Dr David Perlmutter has been a key figure in researching the connection between the gut and the brain. He contends that the microbiome of the gut holds the answers to help us manage and treat neurological disorders that affect our behaviour and mood, including anxiety. To begin with, the gut and the brain develop from the exact same foetal tissue in the womb, and via the vagus nerve and the gut-brain axis, they continue to communicate together throughout your life. Research is starting to indicate that inflammation, due to imbalanced gut flora and microbiome dysfunctions, leads to depression and anxiety. 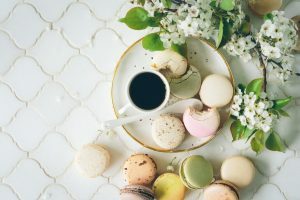 Ultimately, if you’re chronically inflamed (and we well know that sugar is a huge inflammatory culprit), it can lead to an auto-immune response in the brain; basically meaning that your immune system attacks the brain and nervous tissue. Scary, huh? If you suffer from anxiety, it’s well worth taking a look at your diet and seeing how much sugar you actually consume. If you think it might be a problem, check in with yourself after having something sugary and see how it makes you feel. A diet rich in prebiotics, probiotics and a low-stress lifestyle that includes ample sleep and exercise is likely to be your best bet in combatting anxiety the holistic way. 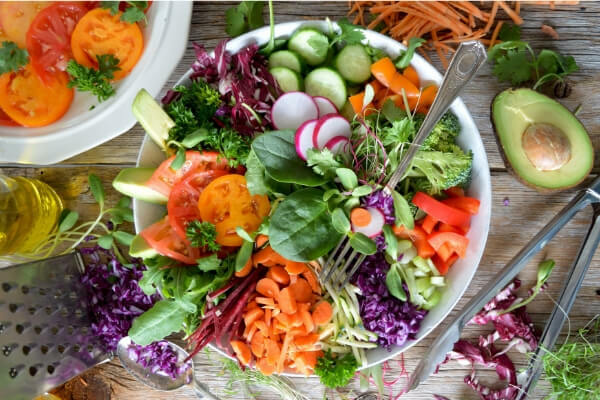 Dr Perlmutter suggests a diet that’s devoid of simple sugars, gluten-containing grains and flours, and is rich in healthy fats as well as prebiotic fibre. This particular diet supplies the ingredients to nourish not only healthy biology – and in turn a healthy microbiome – but also a healthy brain. See ya, sugar!